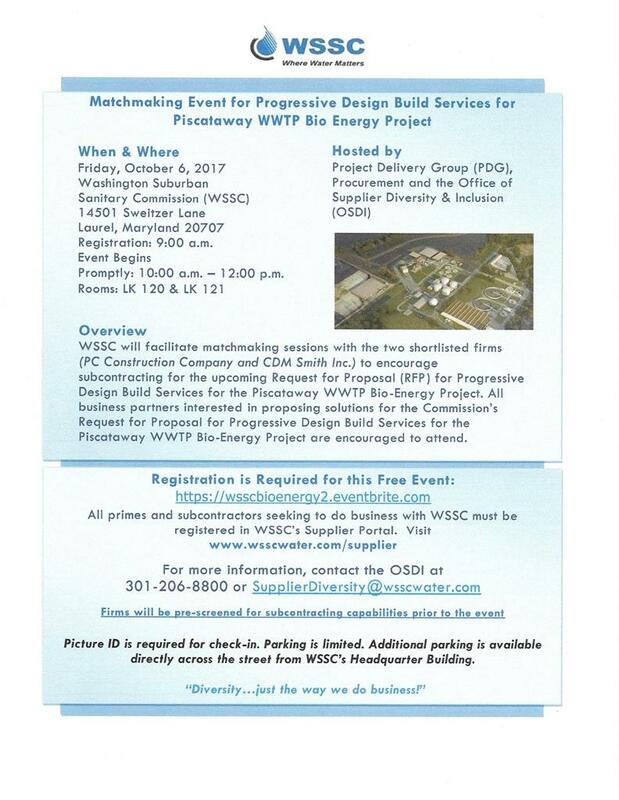 WSSC will be hosting a matchmaking event to pair subcontractors with the Prime contractors for the upcoming Piscataway Wastewater Treatment Plant (WWTP) Bio-Energy Project Request for Proposal (RFP). The WWTP Bio-Energy Project will implement innovative and unique biosolids processing facilities to create an Exceptional Quality, Class A biosolids product while generating green energy through offsets of diesel energy, reducing biosolids trucking, and reducing greenhouse gases. Please stay tuned and visit https://www.wsscwater.com/bioenergy for updated information regarding the Matchmaking Event and the RFP. All Prime & Sub-consultants must be registered in WSSC’s Supplier Portal. When you arrive, please be sure to have a form of identification for Security. 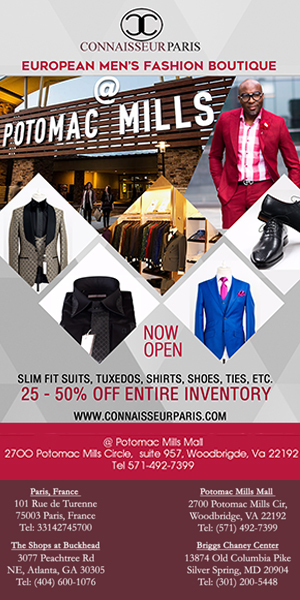 Parking is limited and additional parking is available directly across the street from WSSC’s Headquarter Building.